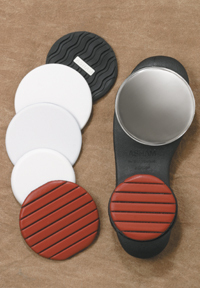 Accessories for Asham Competitor and other models of Rotator shoes from Asham. New Age Rotator soles are supplied in pairs to suit your shoes. Enter shoe size when ordering. The disks are available in sizes L, M & S. A larger disk front and a smaller heel.